212 pages | 10 B/W Illus. 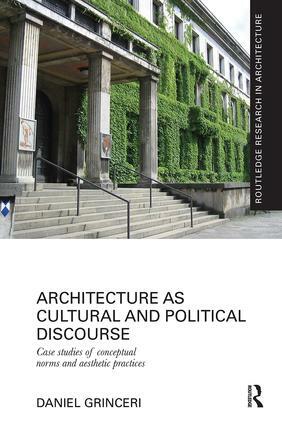 This book is concerned with cultural and political discourses that affect the production of architecture. It examines how these discursive mechanisms and technologies combine to normalise and aestheticise everyday practices. It queries the means by which buildings are appropriated to give shape and form to political aspirations and values. Architecture is not overtly political. It does not coerce people to behave in certain ways. However, architecture is constructed within the same rules and practices whereby people and communities self-govern and regulate themselves to think and act in certain ways. This book seeks to examine these rules through various case studies including: the reconstructed Notre Dame Cathedral, the Nazi era Munich Konigsplatz, Auschwitz concentration camp and the Prora resort, Sydney’s suburban race riots, and the Australian Immigration Detention Centre on Christmas Island. Daniel Grinceri is a practicing architect in Perth, Western Australia. He recently received his PhD on this topic from the University of Western Australia.